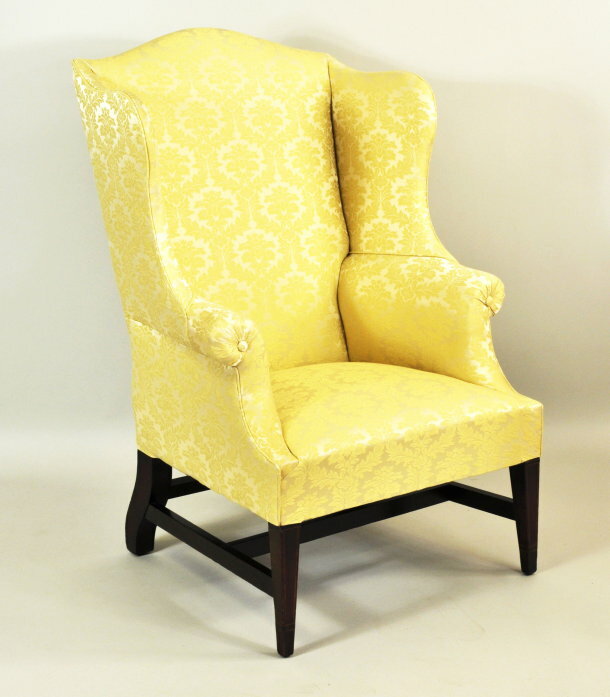 Rare hepplewhite inlaid mahogany wing chair, with arched crest and shaped wings, rolled arm and sloping arm supports, set on square tapering front legs with string inlays and inlaid cuffs, the curved and raking rear legs connected with "H" stretchers. Old or original finish. Baltimore area, circa 1795-1800. 45" high, 28" wide, 30" deep.